I have often wanted to display an informational message at the top of the page. Rather than just slap a Long Edit Box at the top of the screen, I decided to look for a nice looking way to do it. One of the great things about PeopleSoft, it always has an example somewhere in the huge product for what you are trying to do. If you know the name of the component interface, you can easily find it in App Designer. 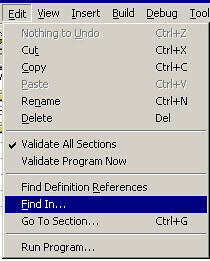 Just press Ctrl+O or File > Open and search for it by name. But, what if you only know the name of the component that the component interface accesses? Have you ever tried to recreate a component interface and allow PeopleSoft to default the properties and collections? The hard part is that you have to make sure that it uses the same names as your old one or you will have to change your code. 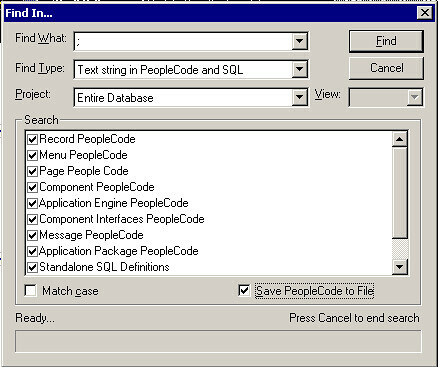 The following SQL helped me figure how to change my code to refer to the correct fields (ex. effdt or effdt0). I was cloning the delivered CI_JOB_DATA component interface with a brand new customized component interface.